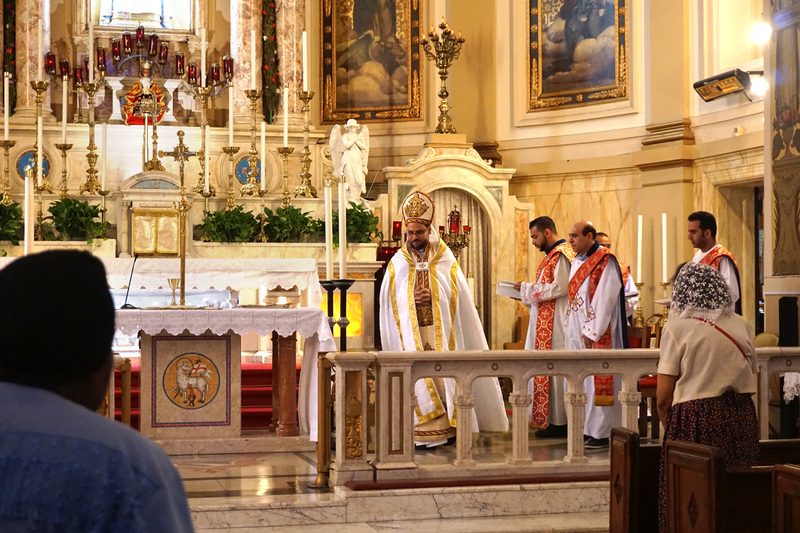 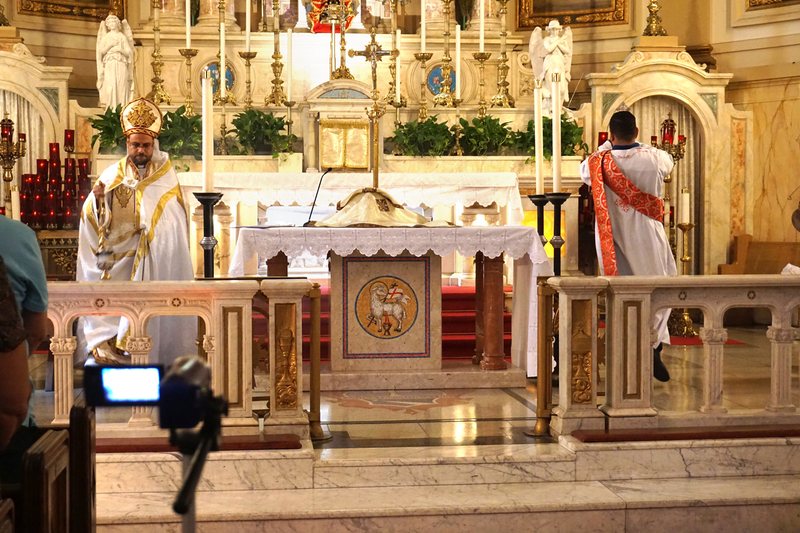 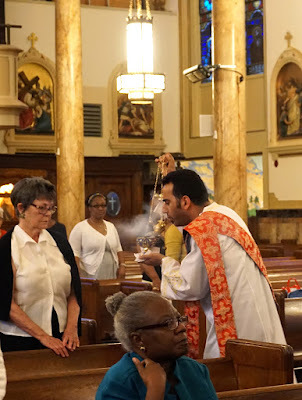 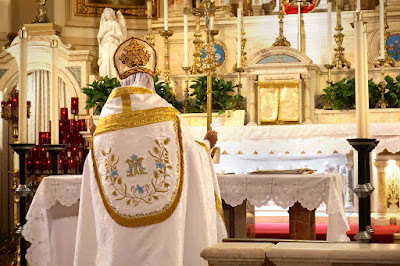 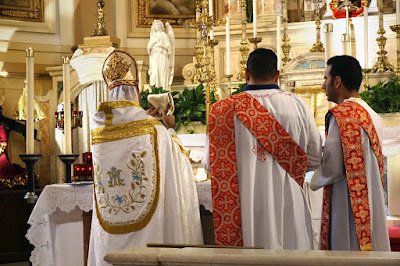 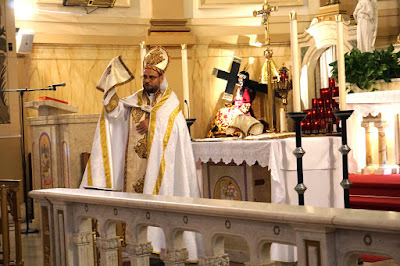 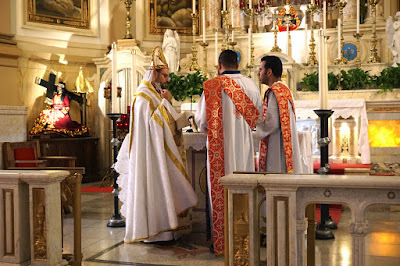 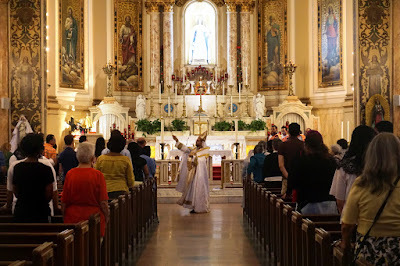 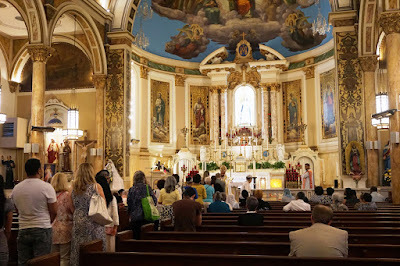 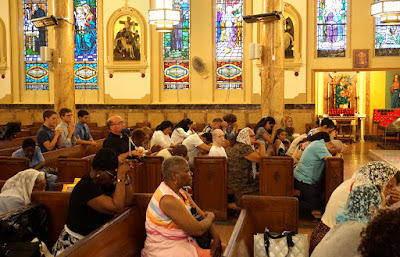 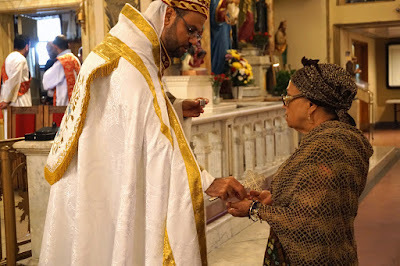 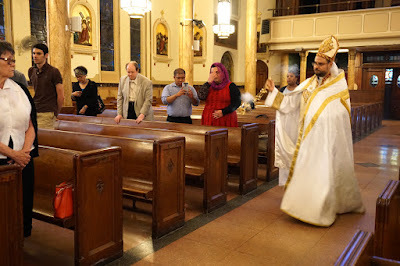 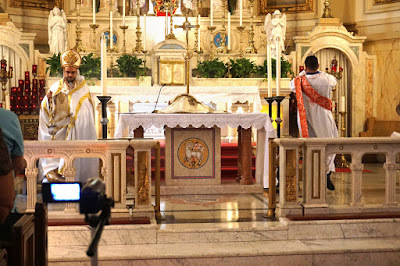 Our thanks to one of our regular photopost contributors, Diana Yuan, for these images of a Coptic liturgy celebrated at the Pontifical Shrine of Our Lady of Mount Carmel in New York City, by Abouna (Fr) Francis Fayez of the Coptic Catholic Church of the Resurrection in Brooklyn. 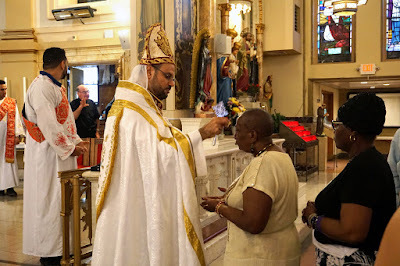 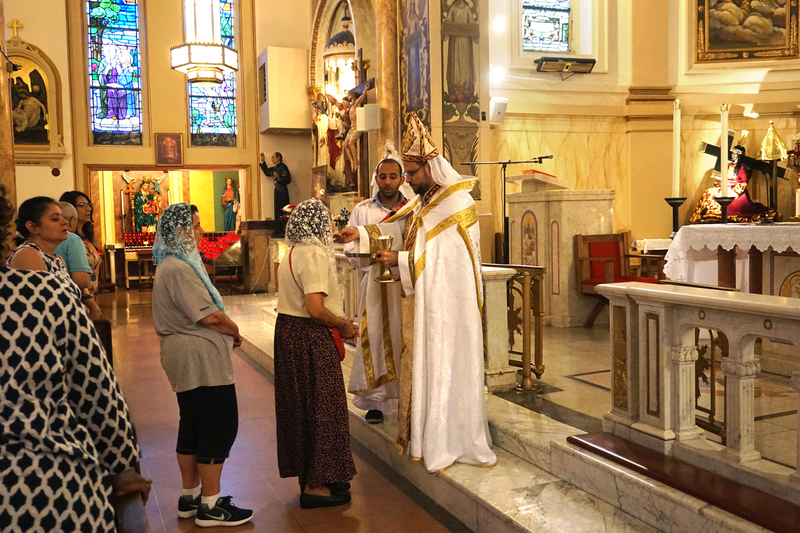 The Coptic clergy and faithful guided the congregation in participating in their beautiful Rite, which was followed by a blessing of the sick. This liturgy at Mt. 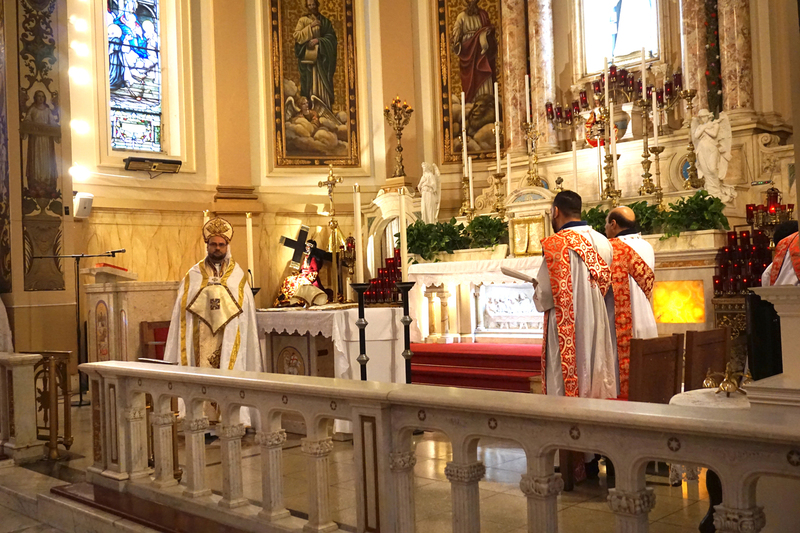 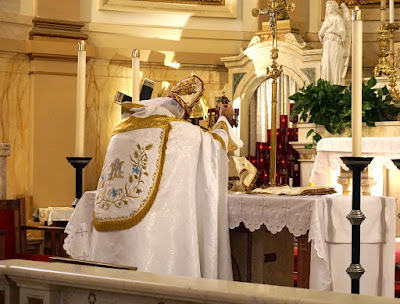 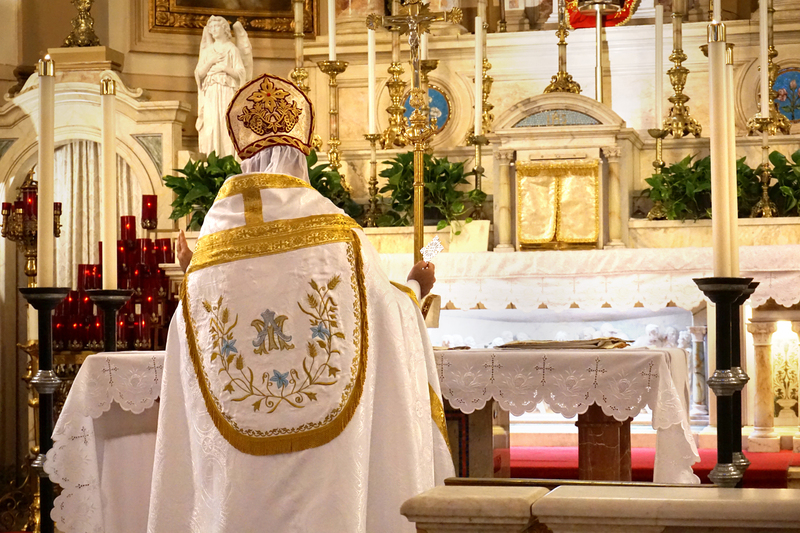 Carmel is a part of the Pallottine tradition of presenting Eastern Catholic liturgies. 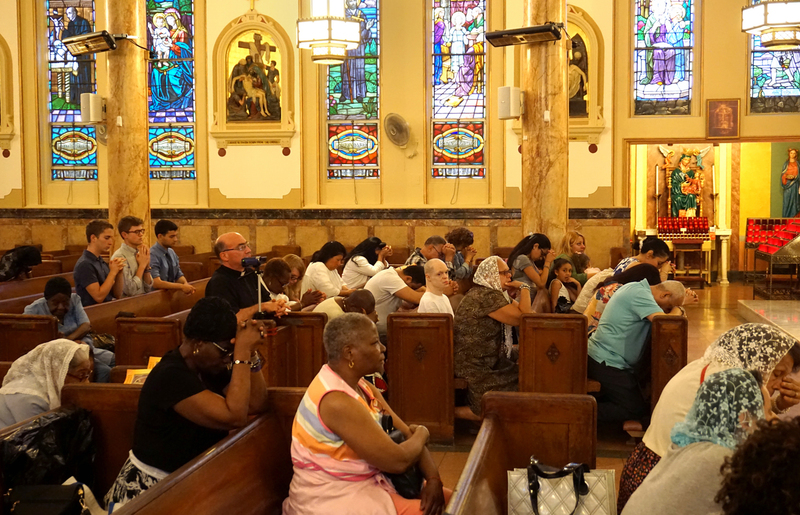 Let us remember to pray for the many Christians who are subject to persecution in the land where Our Lord found refuge when He was subject to persecution!